Let me start by saying I am so happy to have a team of great stylists and artists working with me. Without them many of these busy wedding days wouldn't happen, I am so thankful for each and every one of them! This particular day we have a few weddings so we had to divide and conquer. Tina and I headed to Lighthouse Sound to do hair and makeup for Kimberly and her bridal party. Tina did hair and makeup for Kimberly and hair for the rest of the bridal party. I did all the makeup for the bridal party, creating a natural look. It was such an amazing day, and everyone looked absolutely breathtaking. 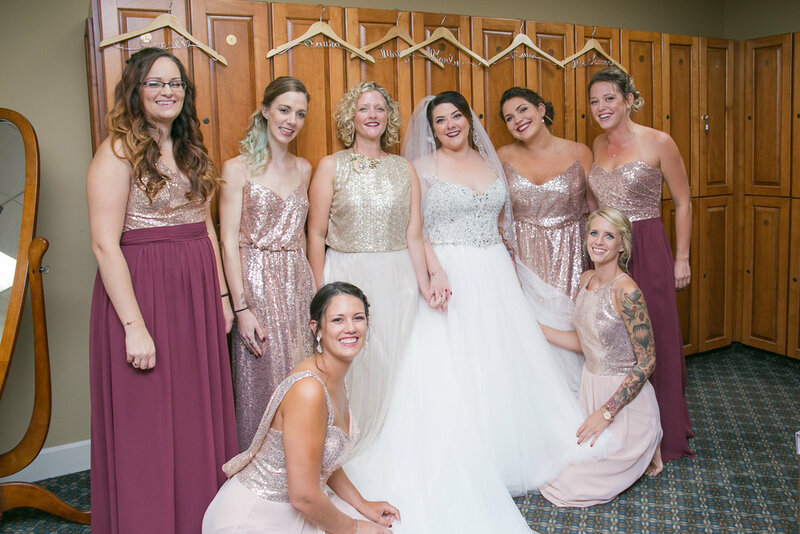 Thank you, Kimberly, for letting the Andrea Bounds Hair & Makeup Team be apart of your wedding day!